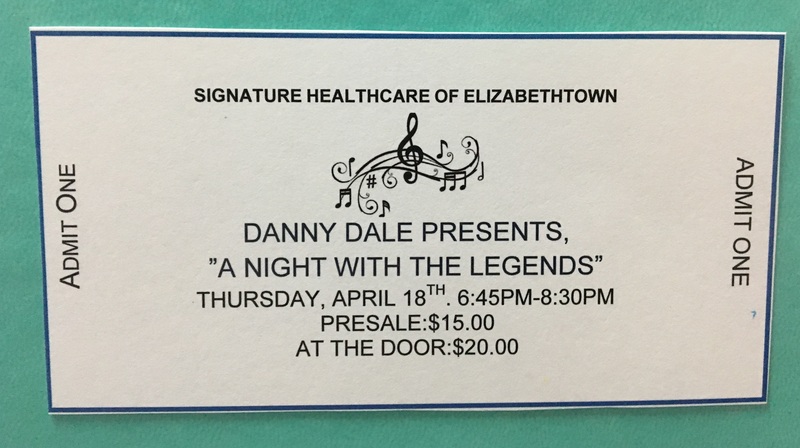 Join us April 18th, 2019 for a fantastic evening! We are hosting a dinner and show fundraiser night, to assist in our efforts to take our residents to Nashville! The show starts at 6:45PM and ends at 8:30PM at the WesBanco Gallery (right next to the State Theatre). 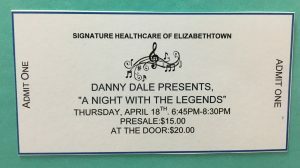 Danny Dale presents ‘A Night with the Legends’, showcasing Elvis Presley, Conway Twitty, Loretta Lynn, and Tammy Wynette. Tickets are now on sale!! Pre-sale tickets are $15. Tickets at the door will cost $20.